BRANSON, Mo. 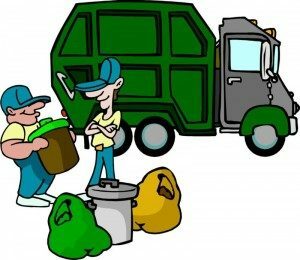 – The City of Branson is encouraging area residents to participate in its Annual Spring Cleanup Week, Monday April 17th thru Thursday, April 20th. This annual service is provided as a courtesy to residents within the Branson city limits. During this clean-up residents can dispose of large unwanted items at no cost, including brush, limbs, old appliances, furniture and mattresses. The City of Branson Public Works Department will pick up items on the following days, based on the ward you live in. Ward One will be picked up on Monday, Ward Two on Tuesday, Ward Three on Wednesday and all brush and limbs will be picked up in all three wards on Thursday. Crews will not collect tires, batteries, televisions, computer monitors, bagged leaves or household hazardous waste products. All acceptable items must be place at the curb by 8 a.m. on each ward’s pickup day. HOUSEHOLD CHEMICALS: Accepted year round at Branson Recycle Center, 601 Compton Drive, Branson, MO. Hours of operation are Monday thru Saturday, 7:00AM-2:00PM. ELECTRONICS: Best Buy retail store in Branson Hills recycles household electronics. See “recycling” at www.bestbuy.com for details. Tantone Industries accepts all used electronics from home or businesses; small fee for TV or computer monitors with tubes, freezers or microwaves. Staples on Highway 248 in Branson also accepts household electronics. TVs and computers are accepted by Computer Recycling of Springfield for a small fee – call (417) 866-2588. Verify accepted items and operating hours online or by calling each center in advance. BAGGED LEAVES: Green waste may be disposed at the Hansen’s Tree Service facilities in Reeds Spring or Ozark – call (417) 272-8733 for more information. Sunny Hills Garden Center in Kirbyville also accepts bagged leaves and other yard waste all year and may be contacted at (417) 339-4437. For pickup of exceptionally heavy items like sofas or large appliances, residents are asked to contact Public Works at least 24 hours prior to their scheduled pickup day at (417) 243-2725 to dispatch a special truck for hauling large items. Questions related to estate, garage and yard sales and Branson Municipal Code requirements may contact Planning & Development at (417) 337-8549.